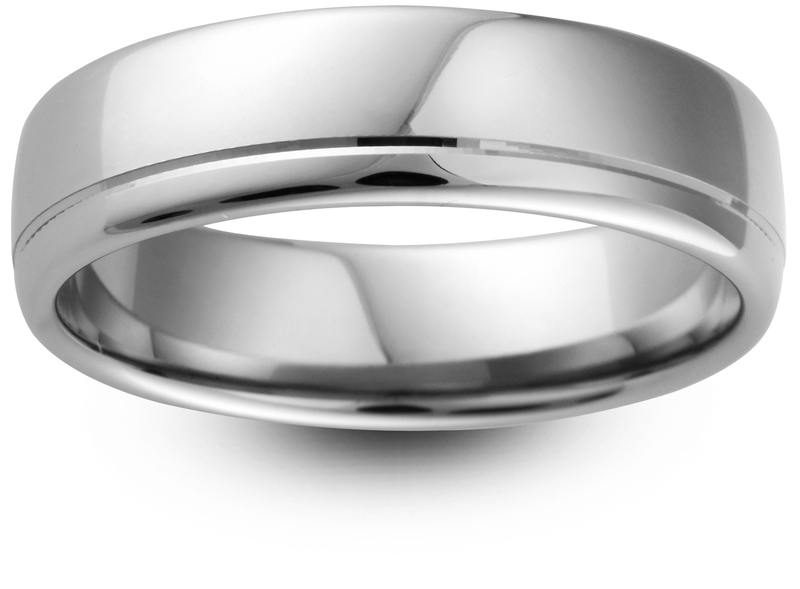 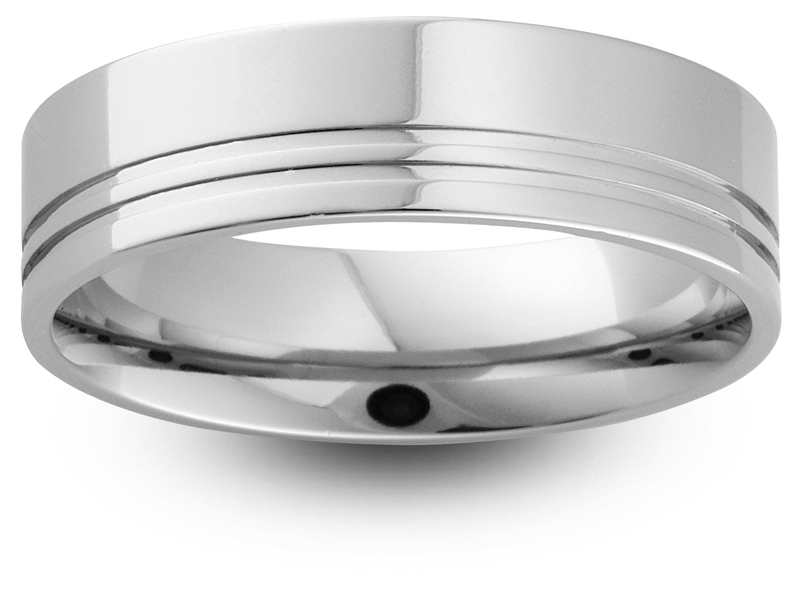 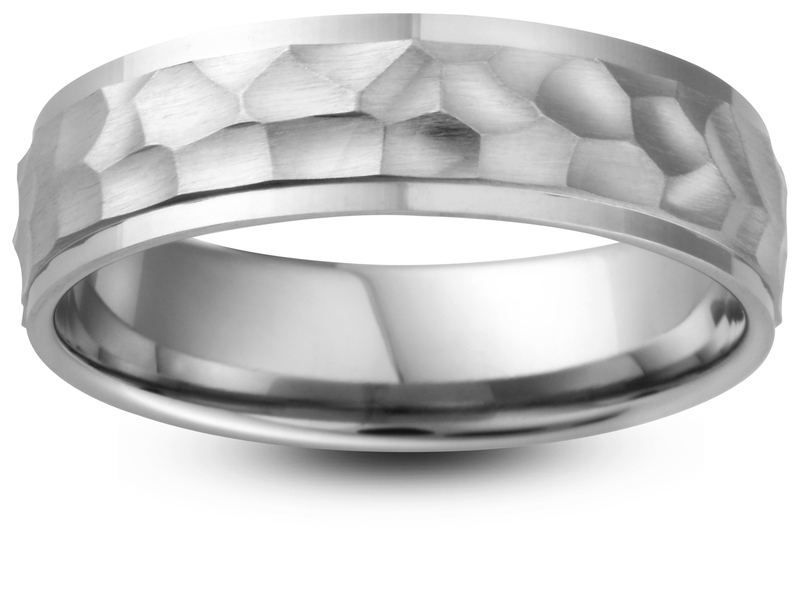 A polished wedding band with offset milgrain detailing with groove border to either edge. 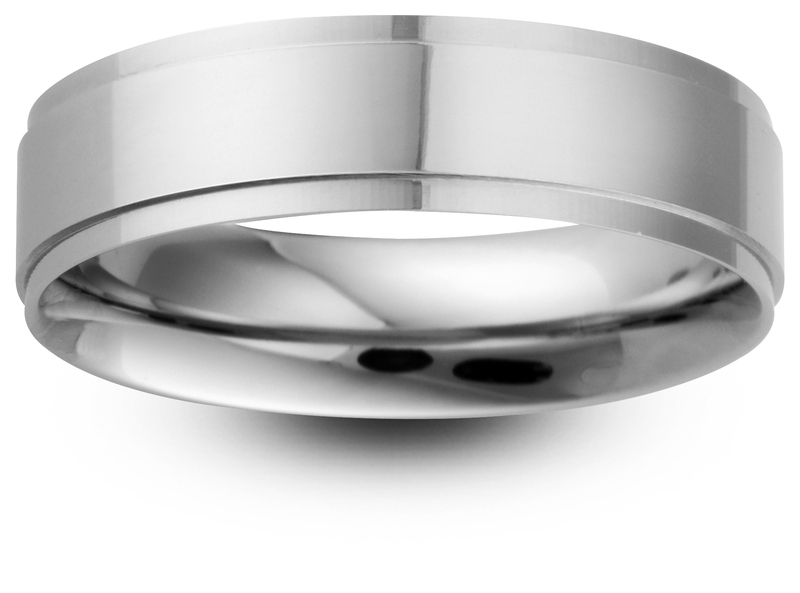 This ring is based on our Slight Court profile that features a subtle domed top surface and a rounded finish to the finger for a comfortable fit. 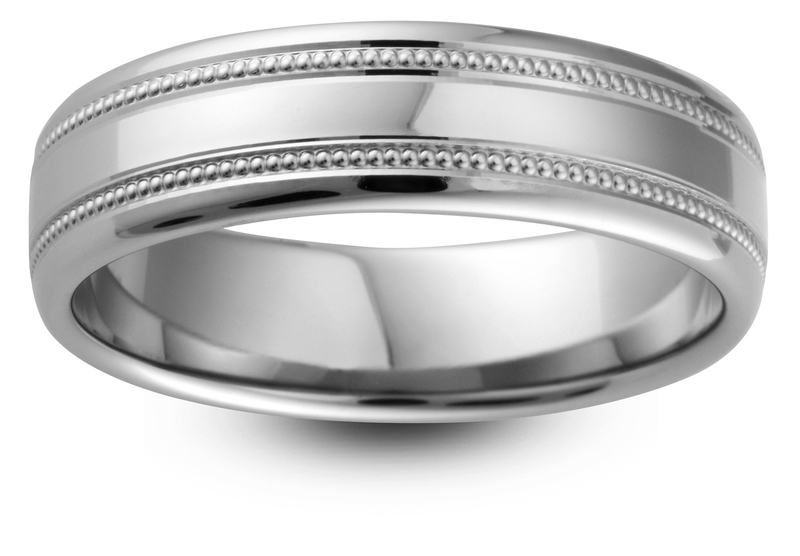 This ring is available in a range of metals and widths, all of which feature a 1.7mm thick band.